Three years ago, John Meadows and Dave Tate invited IFBB Pro Santana Anderson to the compound for a Mountain Dog back training session. After digging through old footage, we uncovered an almost-lost interview on an important topic for bodybuilders: what is the best way to do dumbbell and barbell rows — and which one is better for developing a huge back? Many lifters debate the value of dumbbell rows vs barbell rows, with opinions falling on both sides of the argument. Even lifters that settle for doing both have an opinion on which is superior. John Meadows changes the equation: he prefers barbell rows, but done with one-arm in a style that has you hold one end of the barbell while the other end is placed in a core blaster or lodged in a corner of the gym. In this interview Dave, John, and Santana discuss how to get the most out of both dumbbell and barbell rows. Textbook form doesn’t always produce real-world size or strength. A benefit of the barbell row over the dumbbell row is that you have a fixed plane of movement, allowing you to focus on contracting the lat rather than the motion of the dumbbell. With a dumbbell row, you can pull too high or too low, rendering the movement ineffective. Always focus on lowering the weight, releasing the scapulae, and giving your back a full stretch before pulling the next rep.
For any one-arm bent-over row, keep your hip high on the side you’re rowing with; if you’re pulling with your left arm, keep your left hip high. This is unnatural and takes time to learn. 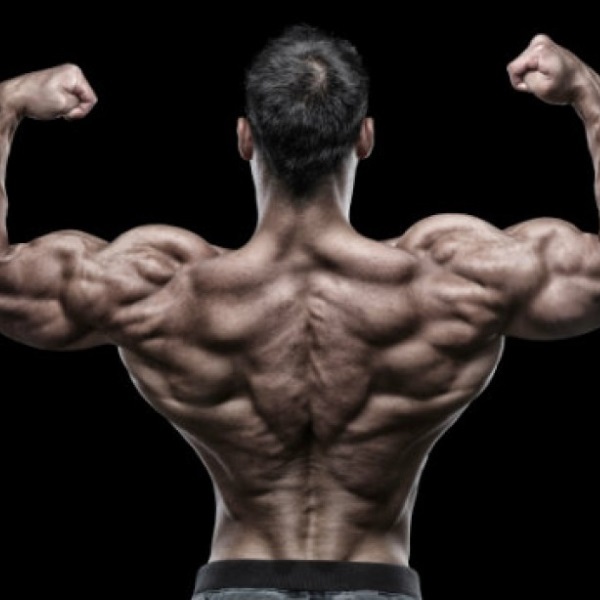 You cannot build a thick, deep back without also building width.